Little legs get tired so let the adventures continue with Baby Tula’s popular Toddler Carrier! 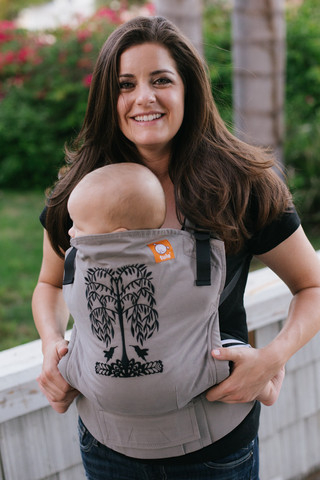 Many families find that as their child grows beyond early toddlerhood, they still need a comfortable, ergonomic way to hold them for long days at the zoo, nature hikes, or an on-to-go nap! We created a safe, easily adjustable carrier solution for you and your toddler. Tula Toddler Carriers have a perfected, streamlined design that is taller and wider to optimize ultimate comfort for you and your little one. Baby Tula has become very popular for offering the best Toddler carriers that are distinctly simple. Instructions for the Tula can be found here.